HÀ NỘI – The General Statistics Office of Việt Nam (GSO) is developing a new set of indices to evaluate the development and efficiency of businesses in provinces and cities and expects to launch it by the end of this year. GSO Deputy Director General, Phạm Quang Vinh, said at a news conference yesterday that the indices will be based on indicators such as the number of firms operating, employees, investments, revenues, profits and contributions to the State budget. The indices will be different from the current provincial competitive index (PCI). While the PCI reflects the feeling and evaluation of businesses about Government policies and the business environment, the new indices will measure the operational efficiency of firms. The upcoming set of indices together with PCI will provide a comprehensive picture about the business environment and development of Việt Nam, according to Nguyễn Quang Vinh, Deputy General Secretary of the Việt Nam Chamber of Commerce and Industry. GSO is developing the new measures with VCCI and the Steering Committee for Enterprise Innovation and Development. 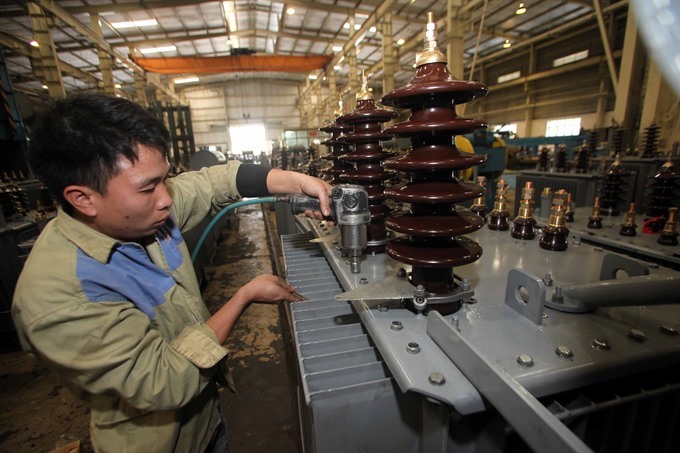 Phạm Đình Thúy, Director of GSO’s Industry Statistics Department, said at the conference that the efficiency of Vietnamese firms remains low. Thúy said more than 97 per cent of firms were of small and medium size, and around 60 per cent had less than 10 employees. The small scale, coupled with outdated technologies, results in low efficiency and unsustainable development, he said. GSO’s statistics show that pre-tax profit of firms increased on average 19 per cent in the 2000-15 period, lower than the increases of 22.8 per cent in capital and 21.6 per cent in revenue. Contributions to the State budget increased 18.2 per cent in the 15-year period, with each contributing an average of VNĐ2 billion (US$87,720) to the budget in 2015. These figures reflect the poor performance of businesses which, Thúy said, was caused by the impact of the global financial crisis, despite increased Government support policies in tax exemptions and deferrals. However, the goal of having one million operating firms by 2020 was within reach with the Government’s determined efforts to improve the business climate, said Nguyễn Hồng Long, Deputy Head of the Steering Committee for Enterprise Innovation and Development. To reach the goal, business households should be encouraged to found companies, Long said, adding that it was important to tackle problems in policies to create favourable environment for the conversion.